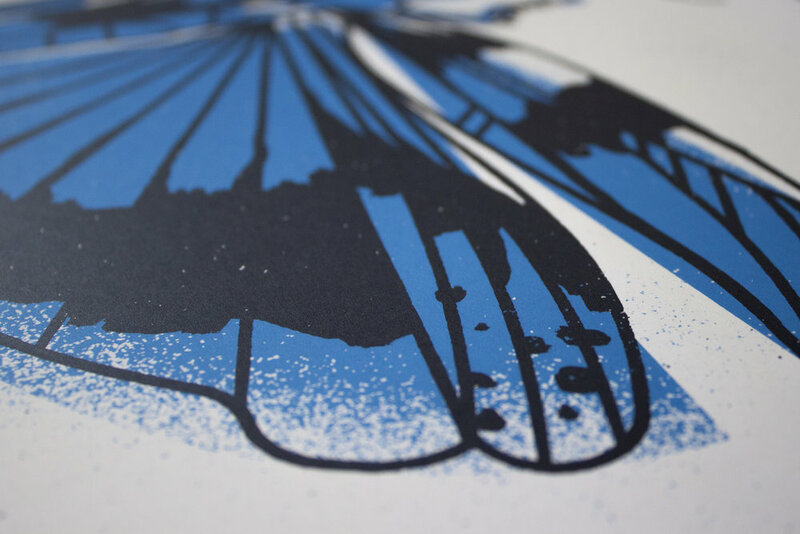 Type Hike is a collaborative project that lives at the intersection of typography and nature. This poster is my contribution to their third series, Alphabeast, which pays tribute to endangered species in the United States. 100% of profits from Alphabeast were donated to Defenders of Wildlife. 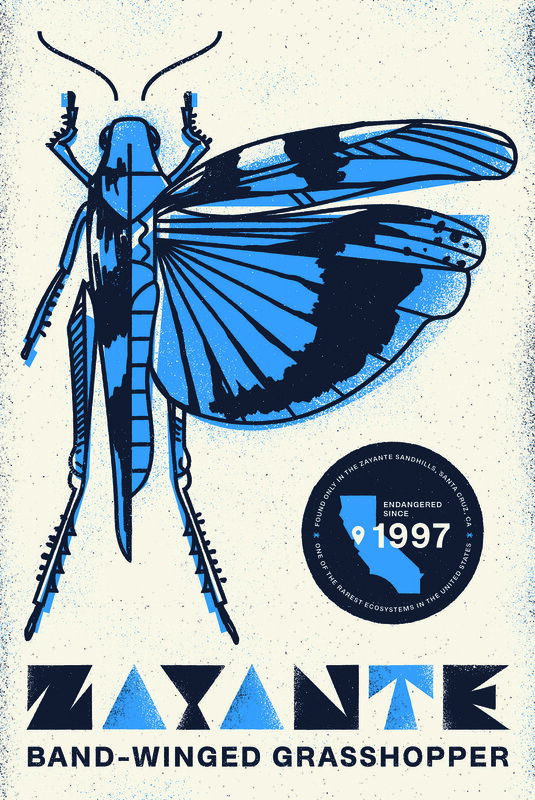 My poster pays homage to the Zayante Band-Winged Grasshopper and the letter Z. When this grasshopper unfolds its wings to fly short distances it becomes an altogether different creature, allowing a brief glimpse at an otherwise hidden spectrum of shape and color. The design blends geometric and organic forms with textures you might find in the Zayante Sandhills, this little beast's one and only habitat.